I’d like to give a big welcome to AUTUMN MACARTHUR to my blog. rem: Thank you for joining us today, AUTUMN. Tell us a little about yourself. Where were you raised? Where do you live now? AUTUMN: Hi, I’m Autumn! I was born and grew up in Sydney, Australia, in a semi-rural suburb not far from the beach. Once I completed my nursing and midwifery training, I moved around a bit, wanting to experience more of what Australia had to offer. I spent some time in a country town, then moved to the outback. I came to England for a one year working holiday nineteen years ago, and stayed! I now live in a small market town just north of London, not far from Cambridge. rem: Love how “one year” turned into nineteen…. 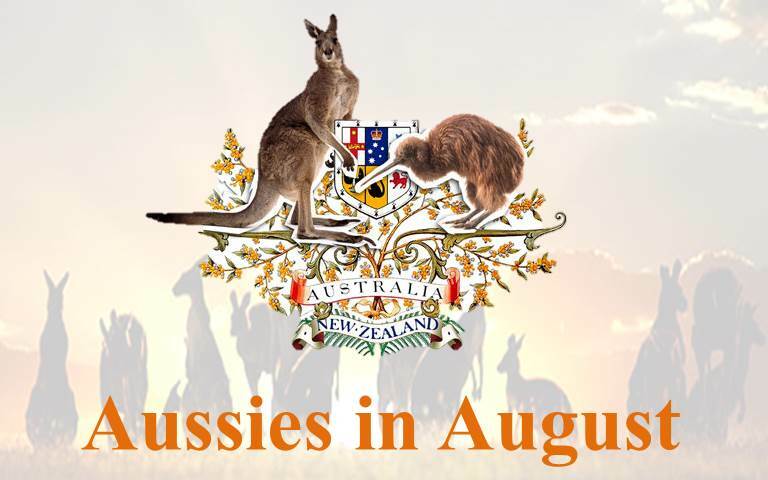 How does life differ from Australia and other locales? How is it the same? AUTUMN: Good question. It’s more different than you’d expect, but hard to say how. The obvious and expected things were – less sunshine and far more crowded; but to make up for that, so much greener, with lovely parks and gardens, and a lot more historical buildings (more so outside London, which unfortunately lost a lot of the older buildings in the Blitz). The things I didn’t expect are the constant queuing, and how distances seem much further here than in Australia. Back home, I’d think nothing of getting in the car and driving 80 miles to see a friend or go to a concert. Here, that’s a major expedition! rem: As if my appetite to see for myself wasn’t already whetted! Tell us three things about yourself. I grew up in a family of DIYers, in the house my grandfather built first, then we moved to an old house my father renovated. In his spare time, the family built a boat we spent most weekends on. So I’m a fairly decent handywoman and would love to build or renovate a tiny adobe house to be my writing studio if we do move. Like many homesteads in the US, New Zealand, and Australia, a lot of the village homes in Bulgaria still have the old one or two room earth house in the garden, built as temporary living quarters while the family constructed a larger home as time and finances allowed. I grew up in a family who weren’t believers, but still developed an interest in God and Jesus from an early age. My favourite book as a child was my big yellow book of children’s Bible stories. I gave my life to Jesus aged sixteen, but spent many years away from God. Thankfully, in His grace and mercy, He didn’t let me go! rem: 1. I want to learn Russian, ergo the Cyrillic alphabet! What is your most treasured possession? AUTUMN: I think the only way to answer this is – what item would I be most upset to lose? Either my wedding ring, or the old family photos. I need to get out that box of photos and scan them into my Dropbox. Once that’s done, it would be my wedding ring for sure! rem: Which reminds me, I need to be more diligent backing up… everything! What is your favourite quotation and why? AUTUMN: I’ve always loved this Thoreau quote – “If a man does not keep pace with his companions, perhaps it is because he hears a different drummer. Let him step to the music which he hears, however measured or far away.” Especially as Christians, we need to follow God’s calling and be willing to walk out of step with the world. rem: Indeed we are set apart. What do you most value in a friend? AUTUMN: Honesty. Even it’s ouchy, like when I ask my husband, “Does my bum looks big in this?”, or my CP what she really thinks of the chapters I sent her! rem: I agree, without honesty, you have no foundation. What quality do you most admire in a man or woman? AUTUMN: Faith. It’s so inspiring to learn from people further along in their journey with Jesus than I am. AUTUMN: LOL, write? Caring for my disabled husband has become my main job since his long term physical health problems have worsened, so writing has had to drop back a step. I also love to read, walk, garden, try to make funky jewellery, and refashion thrifted clothes. I need more hours, or way better time management! rem: Sorry about your hubby. I, too, enjoy going for walks and gardening – being outdoors in general. AUTUMN: I love both, but it would have to be cats. I love their independence, and the way they don’t have to love us, they choose to. We share our home with four cats at present. A lovely gentle older tabby, a mean long-haired tortie, and a sweet little silver tabby who chose to move in but was so wild he wouldn’t stay in the same room as either of us for the first six months. He’s my favourite, now tame and affectionate, asleep beside me as I write this! There’s also an older black and white boy whose people moved away, so he’s trying to decide if he wants to live with us or the couple two doors down. We’d love a small rescue dog, too, but as our yard isn’t fenced, that’s not an option. rem: Me too! Hands down a cat person! What is your Writing Routine? AUTUMN: Ha, I wish I had one! I truly admire authors I know who get up and write first thing. I am not one of them. Every story seems to have a different process. This year has been a challenge, and I’m writing way less than I’d like. rem: What are your Top Writing Tips? Write every day, even for ten minutes. Whether that’s planning, drafting, or editing, it keeps the story alive in your mind. Allow yourself to write badly in first draft. If the story is a beautifully detailed sand castle, the first draft is shoveling wet sand. I wish I could remember who said that first! This is hard, but if you’re one of those people who is very tough and judgmental on your draft, try to keep writing right to The End without looking back at what you wrote. Finishing a draft will teach you way more than a dozen unfinished first chapters. Been there, done that! Try using tools like Write or Die for fast drafting. I use the setting that gives kitten pictures and a purring sound as a reward so many words. Works better than the punishment settings that eat words! Any sort of timed “get as many words as you can in this many minutes” writing is a good way to push yourself to write more, and to write faster without that pesky internal editor stopping you every second work. I often use timed writing to get me over that blank screen terror at the start of a new scene. I set Write or Die to a target of 800 words in 20 minutes. I can’t actually type that fast, so it really pushes me! Even if it’s nonsense, I write what comes in my head. Once I have 800 or 900 words, I can go on to tidy it up and finish the rest of the scene. Learn to touch type as young as possible. I really wish I had. I’m a fairly fast two finger typist but I can’t get over 40 wpm, and I’m finding it frustrating how slow I am trying now to learn to touch type. I have writing friends who can touch type 80, 100, even 120 wpm. No surprise they can write more than me in the same time! rem: Yeah, typing by touch rocks! [chagrinned face] Tell us a little about your writing journey. I was one of those kids who made their own little story books as soon as they could write, and I wrote a lot in my teens and twenties. I loved reading romances, and I wanted to be a Harlequin author. I did get an article published in a Christian magazine aged sixteen, and got a cheque for $5, my first ever earnings from writing. It was a long wait for the next time! I’d become discouraged by the number of discarded stories that never got past chapter 1, and stopped writing for many years. I hadn’t learned then that most writers don’t produce perfect first draft and what we read in the published novel might be twentieth draft, with input from several editors on top. Eventually I decided to chase that old dream of learning to write well and have a book published. In January 2008 I signed up for JanNo, aiming to draft a 50,000 word novel in a month. That was the best thing I could have done. No working and reworking first chapters then giving up. I had to keep writing. The story is a mess, but it was a huge writing milestone. My first ever completed draft! After that, I discovered Harlequin’s online writing contests, and wrote a load of romances targeting their secular romance lines. I scored all rejections, though a couple were encouraging ones. I’m so thankful none of those stories were published, as they weren’t what I would want to write now! God took charge, calling me back to Him, including writing for Him. I began aiming for Harlequin’s Christian inspirational lines, and growing in faith in the process. With every story I write I learn the same spiritual lessons my characters need to learn. Sometimes painful, always valuable. I found I had story ideas that I couldn’t submit to Love Inspired, due to non-American settings, but I felt strongly called to get the stories published. Being a DIYer, I learned all I could about indie publishing, cover designing, and formatting, then workshopped stories with an editor. On August 31, 2014, my first indie published book released. I now have five books out, and God willing, many more to come! rem: Um, five books in ONE YEAR! What part of that is slow going? What makes you struggle as an author? How do you handle it? AUTUMN: I have terrible time management. I’m a procrastinator, I love spending time on the internet, and I still haven’t quite gotten rid of the belief I need a couple of solid hours to sit and write, which makes me overlook all those shorter bits of time I could use productively. Handling it? I pray about it a lot! Keeping off the internet, writing before I check emails and Facebook, and keeping my story files open on the laptop and loaded on the phone to use those ten minutes here and there would definitely help. rem: Time management? What’s that? Where do you write: In a cave, a coffeehouse, or a cozy nook? AUTUMN: Mostly, sitting on my bed! We live in a small one bedroom house, my husband tends to use the dining table as his desk, and there truly is no space to wedge another desk in anywhere. I lined and insulated our garden shed to use as a writing den and crafting room, but discovered with its big West facing window it’s still way too hot in summer and too cold in winter. I do need a cave! rem: Do you prefer the creating or editing aspect of writing? Why? AUTUMN: Editing. For me, that’s where the real magic happens. I do at least four editing passes now, and I love seeing the rough story take on its real shape in the process. rem: I edit as I go, so no telling how many actual “passes” I end up with. LOL What are your top 3 recommendations for a new writer? What 3 things would recommend not doing? AUTUMN: Do – 1. write something every day, 2. let your first draft be bad, 3. always pray before a writing session. It’s amazing the difference that makes. rem: What do you enjoy most about being a writer? What is the hardest aspect of being a writer? AUTUMN: I love the sense of creating something out of nothing but my own ideas. And I love that readers and authors are so much closer now. Getting feedback from someone who enjoyed or felt moved closer to God by something I wrote is a huge blessing! The hardest aspects are the reverse sides of those two. Facing a blank screen or word count that’s way less than it needs to be and knowing it’s all down to me to produce the story. That’s where the prayer comes in, because of course it’s NOT all down to me. The other tough thing is dealing with negative reviews. rem: So true. As Christian authors, all we have comes from Him. What would you do if you didn’t write? AUTUMN: Read more! I used to read so much more before I started writing again. rem: Me too, sigh… At what age did you realize your fascination with books? When did you start writing? AUTUMN: I learned to read aged 3, and from then on read everything I could, including borrowing right up to the limit from three different libraries! I was slower learning to write, as I was a clumsy kid and couldn’t manage the fine motor skills of using a pencil. I started writing poems and little stories at 5 or 6. AUTUMN: I haven’t thought of that one for a while! When I was maybe ten or eleven, there were two story characters I wanted to be. Beauty, from the original fairy-tale Beauty and the Beast (not the Disney version! ), because I cried every time I read the story in my old fairy tale book. Something about the way her gentleness and kindness tamed the Beast and saved him touched me deeply. And a character you probably won’t know! Thowra the silver brumby, from a series of books I loved, about a wild stallion living in Australia’s Snowy Mountains. I wanted his freedom and his courage. rem: Tell us a little about your book / series? What sparked the story for this novel / series? AUTUMN: My current series is Love in Store, set mostly in London where I lived and worked for many years. All the stories loosely connect to an old family owned London department store. Think Selfridges’ poor-relation maiden aunt, a little frumpy and past it, but still keeping up her genteel appearances! 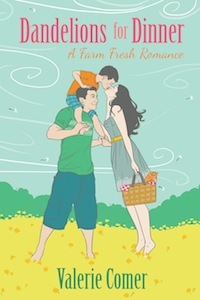 Book 2 in the series was written first, back in 2010 for a secular romance publisher’s call for submissions. The stories had to use a specific secular Christmas song as the theme. I’m not sure why I came up with the idea of a celebrity actor, brought in by the eccentric owner to play Santa in an attempt to save the store; and the Ms Scrooge store accountant, doing the real work to keep the store open and save everyone’s jobs. I do know for sure that the story works far better as a Christian romance than it ever did as a secular one! It needed the real meaning of Christmas – God’s love, forgiveness, and willingness to redeem us all if we turn to Him. AUTUMN: God’s love. He’s there for us, always. rem: Yes, He surely is, always. Thanks you, Autumn, for being with us today. Autumn is offering any one of her Love in Store Series ebooks [shown above] to a random commenter on today’s blog post. 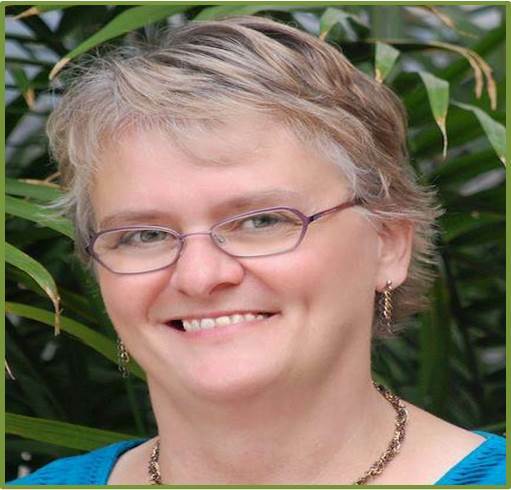 I’d like to give a big welcome to ANDREA GRIGG to my blog. rem: Thank you for joining us today, ANDREA. ANDREA: First of all Robin, I’d like to say a big thank you for having me as a guest. I really appreciate your support. rem: Happy to have you here! Tell us a little about yourself. Where were you raised? Where do you live now? ANDREA: I was born and raised in Auckland, New Zealand, but moved to Australia when I was twenty-five. It was a good move, because I met my husband-to-be almost immediately; we married fifteen months later. We have three adult children (two daughters and a son) and one granddaughter. rem: Yeah, I’d say that was a great move! wink wink How does life differ from Australia and other locales? How is it the same? ANDREA: I suppose the only country I know well enough to do that with is New Zealand. Australia and New Zealand are beautiful countries and I’m very grateful to have lived in both. I love NZ for its green-ness (it even smells different; sweet as opposed to Australia’s herbal scent) but it rains an awful lot to keep it that way! I live on Queensland’s Gold Coast and in our part of Australia we have lots of sunshine and white sandy beaches. Awesome! There’s a lot of friendly rivalry, particularly on the sporting field, between Australia and New Zealand. New Zealand is such a small country, both in size and population (4 million people compared to 23 million Aussies) but it has an amazing sporting record. The All Blacks are the number one team in the world for rugby. There’s a lot of NZ pride right there! The Aussies do very well in the sporting arena too. As I write this, Jason Day, a Queenslander, has just won the U.S. PGA tournament, held in Wisconsin. I think Australians in general are quite relaxed or ‘laid back’ as we like to put it. Perhaps it’s to do with our outdoor lifestyle. We tend to shorten everyone’s name and/or give them a nickname, as a sign of affection and acceptance. For example, with our kids, Melissa is known as Mel, Hayley gets called Hayls, and Jackson is Jacko. At high school, teachers would call them ‘Griggsy’. Funny lot, aren’t we? I think I’ll stop there – I’m rambling on a bit! rem: Ramble on, good woman! Love it!! Tell us three things about yourself. I’m adopted (which I’ve known all my life) and found 6 out of 7 of my full blood siblings nearly 21 years ago. It’s an amazing but complicated story! I am a voracious reader of romance and women’s fiction. rem: That’s fantastic to be in touch with your siblings! What is your most treasured possession? ANDREA: My USB. It has all my writing stuff on it. And yes, I back it up. Most days. rem: Yeah, gotta say mine’s up there in the ranking! ALLLLL my stuff is on it. Now I just need to back up regularly…..
What is your favourite quotation and why? ANDREA: I love Psalm 139, especially verse 13: ‘For you created my inmost being; you knit me together in my mother’s womb.’ I know my birth wasn’t a mistake. rem: Can’t go wrong with Scripture! And that’s a great one! What do you most value in a friend? ANDREA: Kindness. I think we underestimate the power of kindness these days. rem: I think you’re right. What do you do as a hobby? 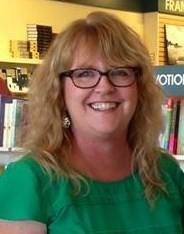 ANDREA: Read, listen to music, read, have coffee with friends, read. rem: I think we’re twins! Dogs or Cats? Which do you prefer? ANDREA: I like both but my husband doesn’t so we have a dog. Micky is a border collie, with one blue eye and the other is half-brown half-blue. He’s still very lively, even though he’s eleven. rem: Okay, maybe not twins – I am so not a morning person! What are your Top Writing Tips? Just write. You can’t edit a blank page. ANDREA: I started writing in 2008. I finished my first draft 16 months later (I was teaching full time at that stage). I ended up joining a writing group in Brisbane where I was told I should apply to attend a sponsored mentorship week. I did, met a publisher there who liked my story and offered me a contract. 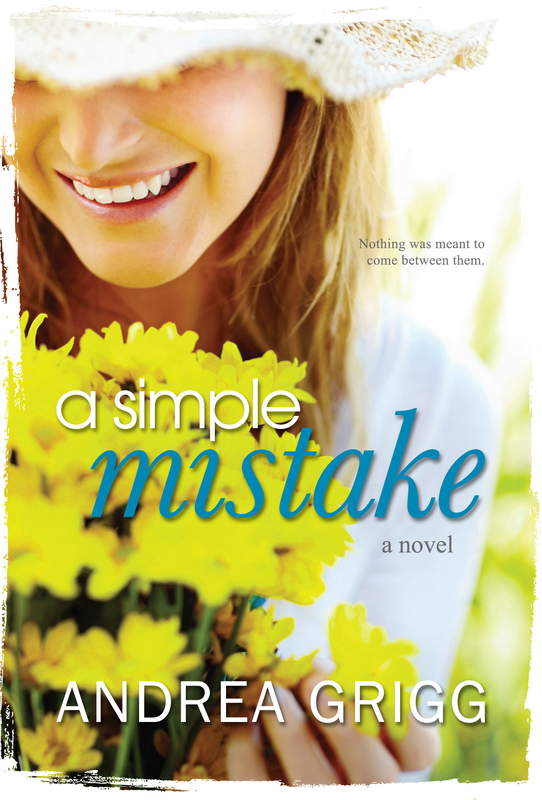 A Simple Mistake was released in April 2012.
rem: Love when stories come together like that! What makes you struggle as an author? How do you handle it? ANDREA: I struggle with writers’ block from time to time. I handle it by having a few books on the go and switching to whichever one appeals to me at the time. Keeps the creative juices flowing. rem: Where do you write: In a cave, a coffeehouse, or a cozy nook? ANDREA: I write in my lounge room using my laptop while sitting in my recliner. Bliss! rem: Lounge room! Love it! Not so dissimilar to mine! Do you prefer the creating or editing aspect of writing? Why? ANDREA: I enjoy both aspects but I think editing might have the edge. I love making my story better and better. I would go over the whole manuscript around thirty times, maybe even more. Get that first draft written no matter how inadequate you feel – you can tweak it later. My only don’t is: Don’t submit or self-publish until you’ve had your manuscript professionally edited. rem: Wish I had known that [editing] sooner… What do you enjoy most about being a writer? What is the hardest aspect of being a writer? 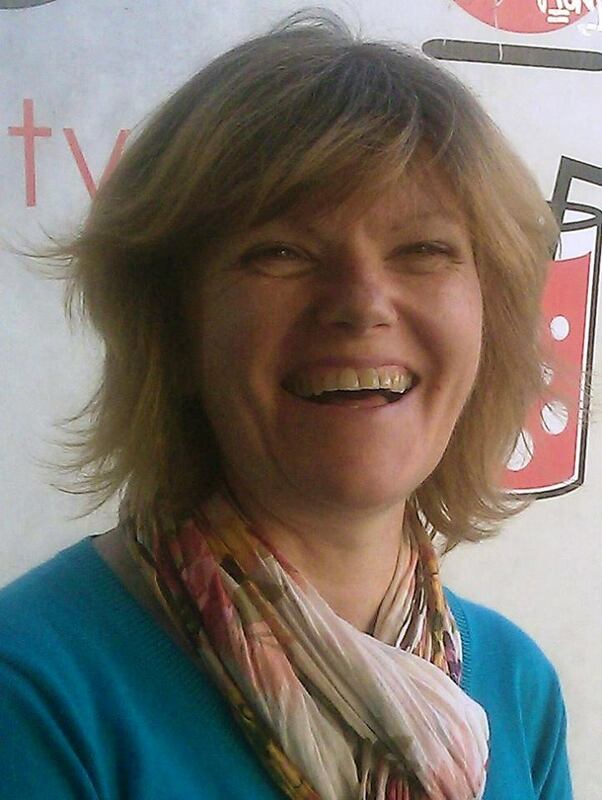 ANDREA: I love making up characters and watching them march in and take over the story. The hardest aspect is getting that first draft down. rem: They do take over, don’t they! My MC didn’t want to talk to me there for a while! What would you do if you didn’t write? ANDREA: I’m not really sure, except my house would be a lot cleaner! rem: I think that’s true of most writers! LOL Who is your favorite hero of fiction? ANDREA: I guess it can’t be one of mine J so I’d have to say Caleb from Amy Matayo’s ‘Sway’. He’s a compassionate, kind and honest man who has shown grit and determination to become the godly man Kate falls in love with. rem: At what age did you realize your fascination with books? When did you start writing? ANDREA: I’ve loved books ever since I can remember. I wrote a little during my primary school years, but music was my real passion … for the next four decades! I guess the indicators were there though – after reading Little Women (when I was eleven), I rewrote the ending because I was so upset when Beth died. rem: We really are twins! I was supposed to be a vocal music major in college! If you could choose to be a character in a book, who would it be and why? ANDREA: I don’t read a lot of historical fiction and I know it’s clichéd but I really admire Elizabeth Bennett from Pride and Prejudice. She’s honest and loyal and not strictly conventional yet still gets her man. I like her spirit. ANDREA: My favourite genre is romance. My favourite authors are Amy Matayo, Carla Laureano, and Varina Denman. I love the realism in their writing. rem: Tell us a little about your book? What sparked the story for this novel? 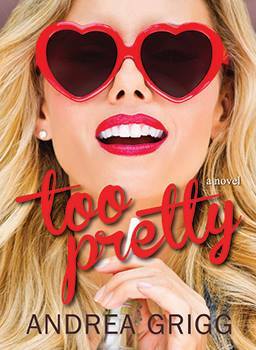 ANDREA: Too Pretty is about Ellie, a stunning beautiful Christian girl, who makes a promise to God to not date for six months, and get to know Him better instead. Of course, as soon as she makes the promise, she meets the darkly handsome Nathaniel, equally determined not to have a relationship, despite the instant chemistry between them. The idea for Too Pretty came to me as I was cleaning the bathroom. No idea why! I just remember thinking, ‘I wonder what how hard life would be for a stunningly beautiful Christian girl.’ And off I went. The concept interested me as I hadn’t read anything with that premise. I’ve used several real-life examples in the book, as told to my daughter by two Christian girls in the modelling industry. ANDREA: That God loves us no matter what. Amazing. rem: I think that Truth escapes so many people! Thank you, Andrea for being on my blog this week. How can we connect with you online? ANDREA: At the moment, my website is under construction but you find me in several places. Please give a big welcome to TRILBY JOHNSON. “Ponderings….. In my interactions I have made friends who then also became clients and clients that became friends. Along the way though many have only shown an interest in me when they had something they wanted me to support them in. This lack of connection showed me how important sincere interaction is. I love connecting with people where we bring out the best and more in each other.” – quote from Ms Johnson’s website. rem: Welcome TRILBY! Happy to have you with us. Tell us a little about yourself. Where were you raised? Where do you live now? TRILBY: My name is Trilby D. Johnson. I was born in South Africa during the Apartheid regime and so grew up seeing racism and discrimination first hand, as well as living with a sense of constant danger. In 1988 I left to spend a year in Berlin, still then West Berlin and then moved onto Geneva in the French speaking part of Switzerland. 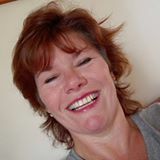 I worked for 20 years in a multi-national company, whilst studying a BSc in Psychology, Neuro-Linguistic Programming and Reiki Healing. In 2008 I moved to New Zealand where I studied Meta-Coaching, Massage Therapy and several advanced bodywork techniques. I live in a lovely little cottage on a vineyard with my beautiful cat and am priviledged to have an organic garden to grow beautiful vegetables. rem: Wow! I’ve moved a lot, but all within the U.S. I’m a little [ok, a lot] jealous! TRILBY: I have never lived in Australia, so have no idea what life is like there. J I absolutely love living in New Zealand. My love affair began way back in the days of Xena Princess Warrior and was fueled further by Lord of The Rings. I find the Natural Beauty and energy of New Zealand very particular and my connection to the Elementals and Gaia have grown since I am here. Today I live in a little cottage with my beautiful cat and enjoy delicious organic vegetables grown in my own garden, which has been a life longer aspiration. TRILBY: I am curious, I love to laugh and I love to travel. rem: We have those in common! What is your most treasured possession? TRILBY: My connection to Source. TRILBY: Not living each day of my life to its full potential. rem: What is your greatest regret? TRILBY: I don’t believe in regrets as I honour all the choices I have made in my life and take accountability for them. rem: A mark of integrity, I believe. What is your favourite quotation and why? TRILBY: ‘Know thyself’ because I believe my time here on Earth is about experiencing life to the fullest and being able to see the manifestation of ideas that I can bring through to express. rem: Basically my author tagline, “To thine own self be true. !” We have to know ourself and stay true to who we are! TRILBY: That they are trustworthy and that we bring out the best in each other. rem: I agree. What quality do you most admire in a man or woman? TRILBY: Read, write, garden, walking. rem: Me too, love being outdoors; walking is my favorite exercise. TRILBY: I love both but prefer a cat. rem: I knew I liked you! wink wink Who are your favorite authors to read? TRILBY: Brandon Sanderson, Trudi Canavan, Robin Hobbs, Jane Roberts, Debbie Ford, Louise Hay, Zane Grey, Hermann Hesse, Shakti Gawain, Neale Donald Walsch, Terry Brooks. rem: What is your favorite genre to read? rem: I like me some Sci-Fi sometimes. Tell us a little about your book, A-Ha! TRILBY: I’ve always done spontaneous writing and always had the desire to write a book, although I was waiting for the perfect moment that I felt like a Writer. Then I noticed that on social media I was posting many insights and then they would just disappear into cyber space. So I decided instead of letting all these great and provocative ideas just disappear to put them in a book. I feel people know that something has to change, but they are not sure how. The work I do and the quotes in a-Ha are there to raise awareness and new possibilities. So I feel it is offering an opportunity to look and think about things differently. I mean the ideas in there are quite out there. So it ranges from quite familiar thoughts to quite out there ones. Some friends have said it is similar to quotes for the advanced soul, except these are my own quotes, not quotes of other people. A THOUGHT PROVOKING COLLECTION OF INSPIRATIONAL QUOTATIONS ON THINKING AND BEING DESIGNED TO REPEATEDLY BRING YOU TO ‘A-HA’ MOMENTS. A-HA: INSIGHT, INSPIRATION, QUESTION is the voice of wisdom, light and love. Author Trilby Johnson has created a refreshing treatise on life and how to live it on your own terms. From loving your body to self-acceptance to embracing joy, this life collection of inspirational quotations is a soothing balm to the soul, a quiet peace to the spirit and a sweet gift to the body. 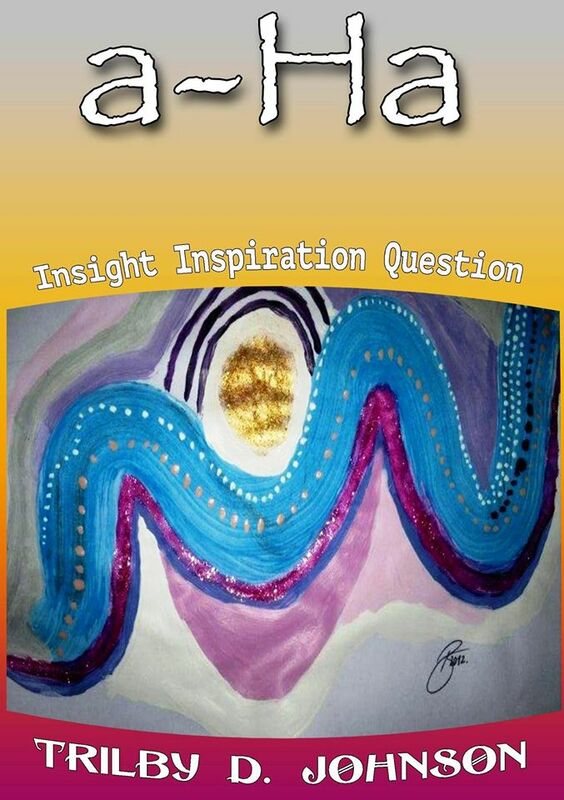 A-HA: INSIGHT, INSPIRATION, QUESTION is a book no one should live without if they want to love from within! Described as “an ‘eternal’ book, not one you read once and stuff away on a shelf somewhere.” Practical advice for body, mind and soul dynamics. Goes beyond the general New Age information, taking understanding and experiencing daily living to the next level of Being. Use whenever you have a question and require some guidance. Offers freedom, balance and stress-free solutions, making the spiritual practical! What is one take-away from your book that you hope readers identify with? TRILBY: I hope that the quotes stimulate the process of food for thought and asking questions, even if it is simply ‘how does this work for me?’. The quotes are designed to create a-Ha moments for the reader and a mini-training in exploring different possibilities. rem: Perfect title for your book. What can you tell us about Vibrational Integration and Connective Embodiment? TRILBY: Vibrational Integration – vibrational integration is one of the methods I use to bring about Body-Brain reform. It is a technique that has grown out of my working with Reiki, coaching, advance body processes. It is a combination of what I term cognitive processing where words and a breathing technique is used to transmute energy around a thought, thus opening up that neural pathway so that new information can be inserted in a way that is quick, easy and effective. Connective Embodiment™ is a new consciousness channeled by Trilby D. Johnson and which is now transferable as an energy upload. This is an activation tool for quantum healing and thriving. What could take years for some people will take moments for you….. when you allow the Connective Embodiment field to expand in you and for you! This new state of consciousness for personal growth and fulfillment is here to bypass the stuck energy patterns that are holding you back, despite all your efforts, especially with the issues of money, health, love and self-expression. Once activated, Connective Embodiment provides a bridge and platform for complete and harmonious integration of your luminous and physical aspects. True transformation can only be achieved via your physical body, which is your Soul’s vehicle and conduit to the Divine, in your daily life. rem: Thank you for joining us today, Trilby! It’s been a pleasure! Disclaimer: I do not endorse the methods or beliefs described above, but am happy to have Ms. Johnson as my guest. Pretty and pink and polished. That was Chelsea Riehl. She’s at Green Acres as event coordinator – definitely not to pit plums. Hippie Keanan Welsh has surprised himself by putting down roots, such as they are, at Green Acres. With the proviso that he will leave for the mission field as he feels led. They are about as mismatched as plums and parakeets. And yet, Keanan feels drawn to her. Chelsea, however, is not drawn to him at all. Then again, he is charming. And they do end up side by side a lot. But her shallow faith and his depth of faith clash more than their lifestyles. When she volunteers to coordinate meals for the Alpha Class he teaches at the church, though, he rethinks his original assessment: shallow and self-absorbed. And as she observes him teaching with such passion for the Gospel, not only does she rethink her original assessment of him – undependable and unreliable hippie – she comes face to face with her own faith. Can she overcome her anxieties to embrace the possibility of love? Can rambling Keanan really put down roots and settle in one place? Can love grow between them when their worlds are upside down from each other? 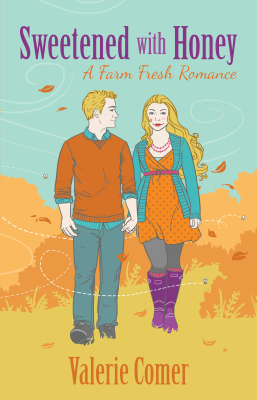 Ms. Comer has written a delightful series with very real characters and situations that echo life all too well. Her style is witty and enchanting, enticing me back for more. I did not read these stories in order, but was not lost without that established sequence; each story stands well on its own, and yet, weaves beautifully with each of the others. Each subsequent book adds layers to the story Ms. Comer has established, and I look forward to reading many more from this author. Allison Hart flies solo. And she likes it that way. No one to answer to, just herself for accountability. She’ll make it or break it on her own, thank you very much. Growing up with the poorest of examples – her parents’ marriage was a farce and a façade, and now, her sister who changes men as often as some people change their socks – Allison has vowed never to marry; she doesn’t need a man – she doesn’t need anyone. She certainly does not need a smug and handsome foreman building her house. Brent Callahan is that foreman. And he is no more impressed with her than she is with him. Cocky, overconfident – so she believes. And her, somber and aloof, standoffish even – or so he believes. Pretty, though. But he’s there to do a job and nothing more. Now if she’d just let him. Then their separate pasts collide. Custody of Allison’s nephew is suddenly thrust upon her – and the boy bonds with Brent, of all people. Not the most pleasant of reunions. Gabe Rubachuk has been in Romania for a few years, running away from a painful past. And he’s only back in town to tie up loose ends before he runs away again. 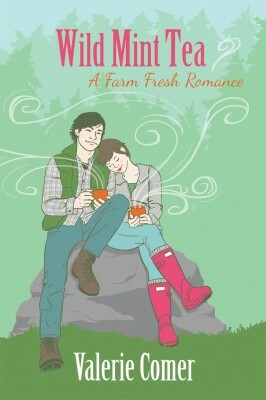 Sierra Riehl’s contribution to Green Acres Farm was honey. All natural honey. Extracted directly from hives of honey bees. Like her friends, she is solidly planted at the farm and plans to stay there. Sparks fly between Sierra and Gabe, and not the romantic kind. As iron against iron, they are obviously mismatched, even as she falls for him. Still intent on leaving, Gabe denies his feelings for her. Until his heart overtakes his reason. But what of the secrets from her past? As Gabe faces his own past, can Sierra face hers too? And can they overcome the hurdles to build a future together? Traveling dude meets I’m-not-going-anywhere chick It’s a recipe for disaster. Chef Claire Halford needs the job Noel Kenzie has to offer. As chef to his tree planting crew. It’s a temporary gig, but no one said flirting had to mean anything permanent. And Noel was a love ‘em and leave ‘em kind of guy. Claire wasn’t looking for love, either. She was content to be part of the dream she and her friends, Jo and Sierra, had created: a self-sustaining farm. 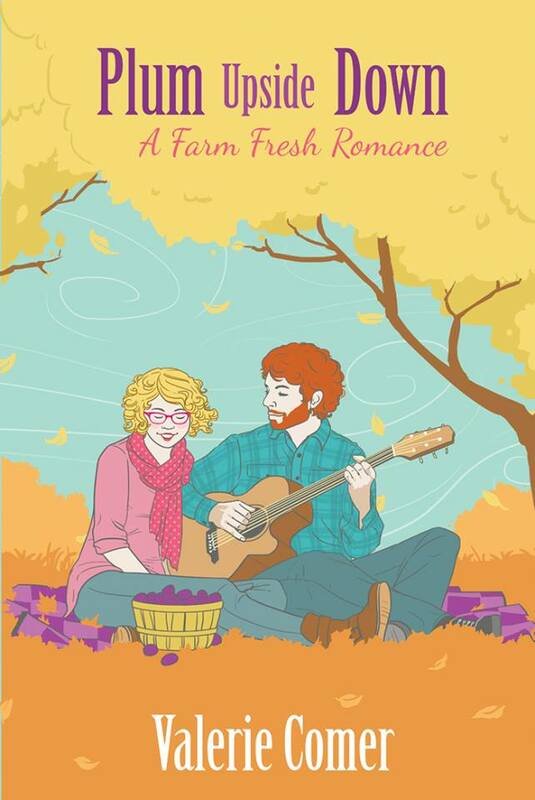 When Claire doesn’t get the job, she focuses instead on creating the image she, Jo and Sierra, want for their farm. Adding the element of an event destination brought on new challenges. And when their first bride turns out to be Noel Kenzie’s sister, Claire and Noel are forced to interact, forcing both of them to examine their own absolutes: he’s not interested in settling down, and she has no interest in travelling. How can they overcome the hurdles and answer the feelings they have for one another? Or do they dismiss the feelings and part ways?